The Kielder Water Vole Partnership is releasing 700 water voles in Kielder Forest - a vast area of 650 square kilometres after a 30-year absence. It is the largest water vole reintroduction to one place ever undertaken in the UK. The release of 325 water voles is taking place this week with a further 350 water voles due to be released in August. The aim is to restore populations of this endangered mammal to the Kielder catchment of the north Tyne with a view to their eventual spread throughout western reaches of Northumberland. Why bring back the water vole? This project will reintroduce a much-loved British species - known as ‘Ratty’ in Kenneth Grahame’s children’s classic Wind in the Willows - to a key area which used to have thriving water vole populations up until the 1980s. The water vole was once a common and familiar mammal along our ditches, rivers and streams. Unfortunately, habitat declines, pollution of waterways, industrialisation of agriculture, housing development and predation by American mink which escaped from fur farms, have all led to severe water vole declines since the 1960s. It’s thought that 94% water voles have disappeared from places in the UK where they were once prevalent. The Forestry Commission has done much to improve the water vole habitat across Kielder Forest, leaving open areas next to water courses after felling, thus allowing banksides to have more light and a greater range of plants to grow, which is perfect for water voles. Water voles need help to recolonise an area once they have disappeared. The first release at Kielder Water and Forest Park will be of water voles from strong populations over the border in Scotland, while the second will be the young from voles captured in the North Pennines in late summer 2016. The water voles spent the winter at the Derek Gow Consultancy in Devon (specialists in water vole conservancy) where they have been cared for and bred. They have been brought back to Kielder Water and Forest Park and will be fed over the next few days (on carrot and sweet apple) and then a baffle (a piece of wood with holes in) will be placed in one end of their pens so they can come and go as they please. This will help them get used to their new home. The second release of 350 water voles in August will boost the population and increase their genetic diversity. 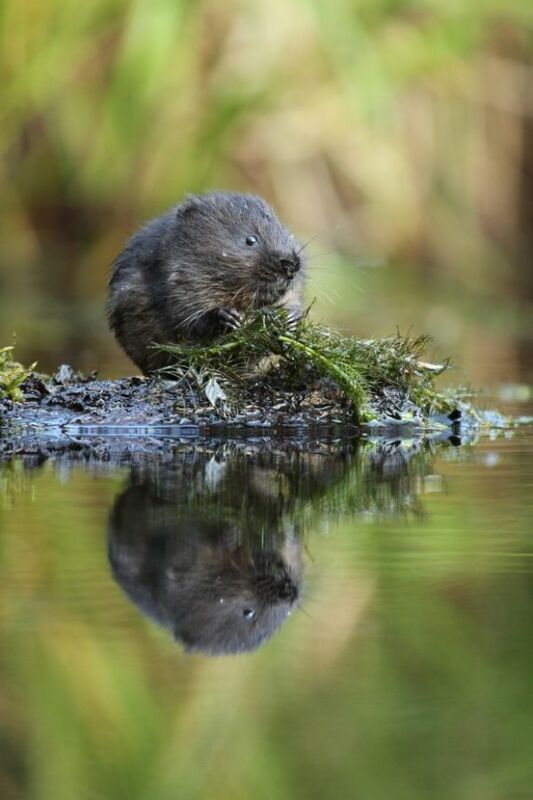 Restoring Ratty is a five-year partnership project between Northumberland Wildlife Trust, Forestry Commission England and Tyne Rivers Trust, aimed at the reintroduction of water voles to the Kielder Water and Forest Park area of Northumberland. It has all been made possible by National Lottery players through a grant of £421,000 from the Heritage Lottery Fund (HLF).